With over 30+ years of residential lending experience, Liz Brewer has helped hundreds of families, from first-time to luxury home buyers, achieve their dream of homeownership. Liz enjoys assisting her clients in making wise decisions with one of the largest financial decisions in their life time. She believes a residential loan can be a powerful financial tool to help individuals fulfill their short and long term financial goals. She works closely with her clients by listening to their needs, finding solutions in line with their goals and then walks them through loan process from start to finish. Her service continues after the closing as she considers them her clients for life. Liz is also a licensed Realtor and is able to help her clients understand the entire process from start to finish as well as trains realtors through her exclusive training program, “Realtor Up & Running”. Liz, her husband Jeff and their three children, Jeff, Tyler and Brittany have lived in the Valrico area for the past 32 years. They are members of Driven Church where she sings on the Worship Team and serves in other ministries within the church. 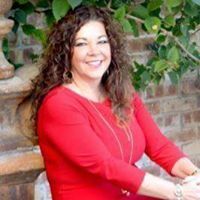 Active in the community, Liz is the Executive Director for the Greater Brandon Community Foundation, past Board Member of the Brandon Chamber of Commerce and Women’s Resource Center, Past President of Newsome High School PTSA and was the Honorary Mayor of Brandon in 2014-2015. Liz is a strong believer in the words of Winston Churchill: “We make a living by what we do, but we make a life by what we give”.